afokoamelia February 9, 2017 August 7, 2017 travel tips, What am I doing? When you say winter, you probably think of jackets and snow. 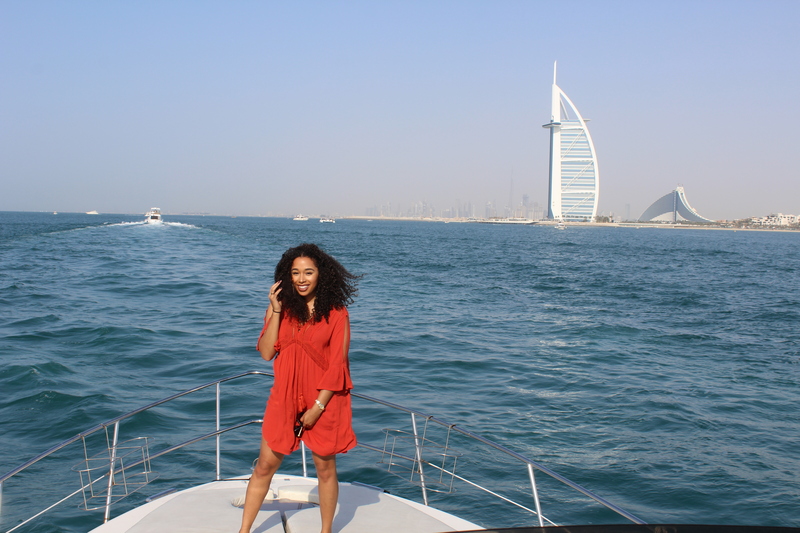 But when I think of Dubai Winter, I think of a breezy day on a yacht. Here I am in the middle of a battle between the wind and my hair. I love winter in Dubai. Until the weather gets warm enough for swimming, we spend the time on the yacht chatting with friends and having drinks. I’m wearing a versatile orange dress from Bershka and slides that are comfy for walking and easy to take on and off on the boat.